Fantastic home on wonderful block in central Hilltop. Unique and very functional floor plan with three generously sized updated en-suite bedrooms in addition to a spacious master suite, all on one level (upstairs). Fantastic light-filled study, living room, dining room, open kitchen with large island, breakfast bar, butler's pantry, kitchen nook, family room and updated one half bath are all on the main level. Large finished basement is complete with high ceilings, two additional bedrooms ( one being used as a fitness room) an updated bath, game room with bar, fridge and ice maker, and a generous laundry room with plenty of cabinetry, a sink and ample counter space. 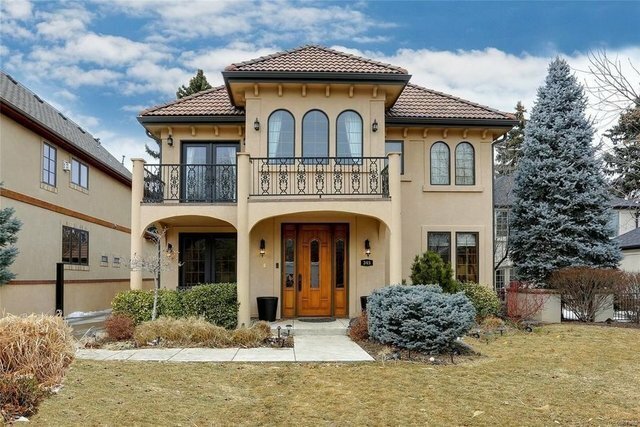 Low maintenance yard is perfect for entertaining and makes this home an enticing Cherry Creek alternative. Close to both Robinson and Cranmer Parks. Steck Elementary. Walking distance to restaurants, dry cleaners, tennis club etc.